One of our most popular patterns!! 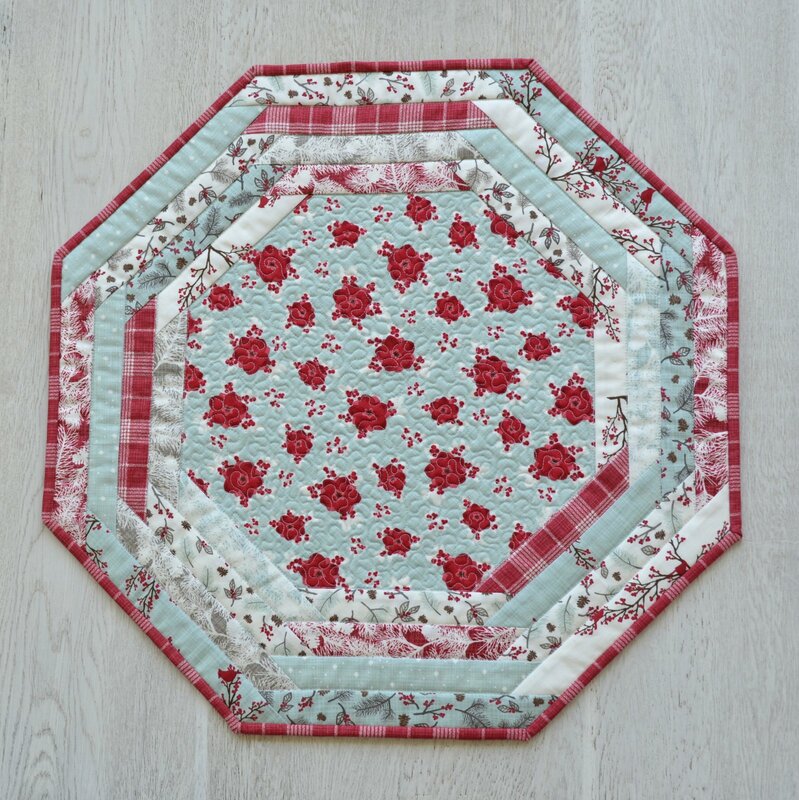 A quick little Octagon mat for the center of your table. We love the Wintery look of, Return to Winter's Lane fabric line by Kate & Birdie fabrics. This would be great for all winter long, including Christmas time! Kit includes pre-cut strips, all fabrics for the top, backing and binding. And of course the pattern.